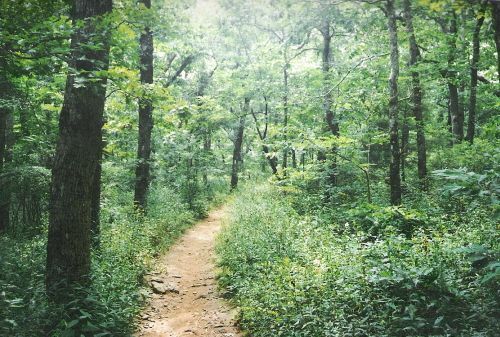 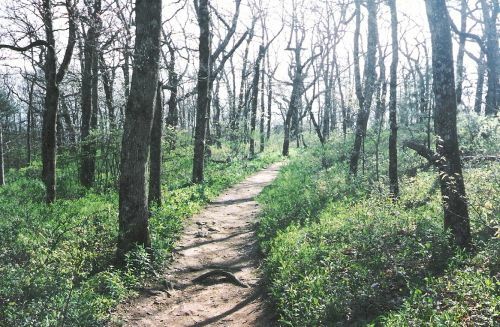 When you descend from the summit of Blood Mountain heading north on the Appalachian Trail, you follow the trail due south over open ledges and down into the woods through rocky gullies. 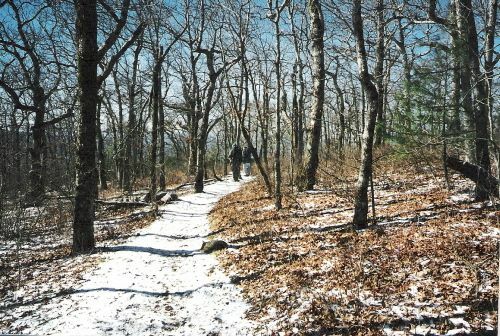 Not far from the summit the trail levels out for a short stretch as it turns to the right and heads to the west. 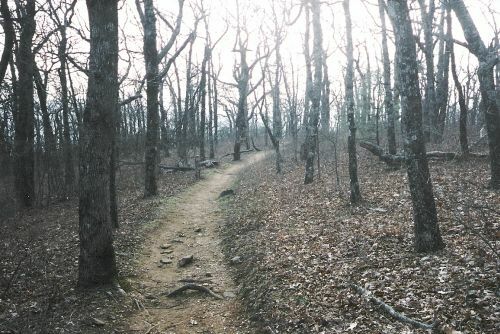 I always enjoyed this short and level portion of the trail, after this the trail makes a sharp left and curls down around the south side of the mountain and descends toward Neels Gap to the east. 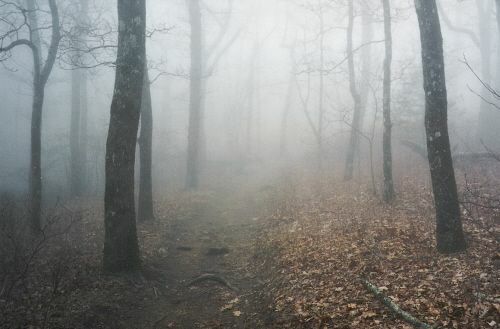 Here are five images taken at that spot on the trail, one taken in each season of the year, and one in the fog.